So I just served my kids brownie soup for snack. It is not some prized Betty Crocker concoction, or even a secret recipe from my grandmother's cookbook. It is my own creation. One derived from desperation. 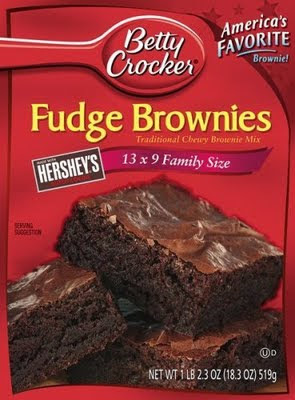 It is made up from a box of brownie mix with water added until desired consistency is achieved. I omit the eggs and oil (lest I do something uNhEAlthY), pour it into individual bowls and tell my kids to belly up to the bar. The first time I served this they thought I was totally losing it, now they run for the table and dig in without blinking twice. Beyond pathetic, I know, but on a day like today though it quite possibly saved my life. There was a pretty thick toxic energy oozing from our house until brownie soup was served. I know now why they call these the "dog days" of summer -- because during the hot, late summer months a mom of a bunch of little ones is living in dog years. One long August week alone is equal to approximately 2 dog years I think. To kill some time on Friday, I demanded that their Fruit Loop necklaces all have at least 100 loops on them. That took a delightful 30 minutes of time. Then for snack time I combined their strings and tied them across the room and made them eat their snack without hands. That took another wonderful 30 minutes. Unfortunately, there were still 13 more hours to fill that day before bedtime. My reserve of fresh and novel ideas is running low -- any suggestions out there? I'm living in dog years. Really. I have long since said that my headstone on my grave will one day say: "How did the days seem so long when time went so fast?" Until then, desperate times call for desperate measures, and brownie soup is on the menu. Which, by the way, is incredibly delicious and should be considered by anybody needing a good 3pm jolt in their day.